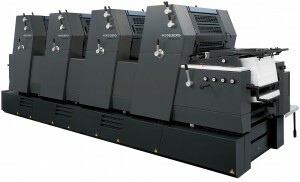 At St Pauls Press we have Litho Presses for every job. We always deliver high quality work and often in a short time frame. Our team of machine minders and finishers have many years of experience and deliver professional printing to exceed customer expectations. St Paul’s Press have years of experience offering a unique blend of highly efficient production processes with good old fashioned “Customer Service”. We really do try to add value to the process of producing your marketing and promotional materials. We strive constantly to give our Customers what they need when they need it! Tap into our knowledge of environmental issues – speak to one of our sales or commercial staff for more information. To discuss how we can help you with your next marketing piece, please contact St Paul’s Press on 020 8808 7788. We offer a seamless service from initial concepts through to final delivery… the complete solution. Need help producing a new brochure? – don’t know where to start! 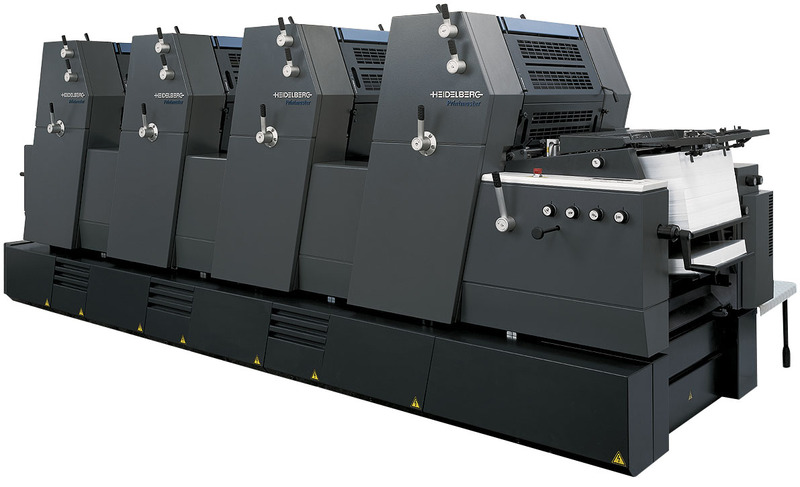 St Paul’s Press Complete Solutions can provide a full and friendly service. With years of experience, we can help guide you through the process – so you end up with exactly what you require. To start the ball rolling, we can meet with you to discuss your brief, and then set to work using a full range of resources we have at our disposal – We can handle a complete project from design, copywriting and photography through to printing, storage and mailing to ensure that your brochure reaches your targeted audience quickly and efficiently. We operate with modern production methods and the latest technology – so speed of turnaround and quality of the final result are taken as standard. In addition to all the normal things you might expect we do really add value. If we feel something is going to cause a problem or will look wrong, we will make you aware of our thoughts and offer sound practical advice. Tap into our knowledge of environmental issues – speak to one of our sales or commercial staff for more information. Our aim is to ensure you end up with exactly what you need – after all, we want you to come back and use us again! To discuss how we can help you with your next brochure, please contact St Paul’s Press Complete Print on 020 8808 7788. If you need any help with a project look no further – our complete, one-stop-shop solution means that all these services are available through just one point of contact. We are of course very happy to be involved at any stage of the process. Avoid the headache of having to juggle four or five different suppliers to produce your catalogue, and save time and money into the bargain. With our established network of creative partners, you need only make that one call. We can meet with you to discuss your brief, and then set to work, calling in our successful team of copywriters and designers to execute your concepts. When you’re happy with the content and design, our printing service guarantees a high-quality, efficient delivery. And, if required, we liaise with our mailing house to ensure that your catalogue reaches your targeted audience quickly and efficiently. It couldn’t be simpler! Storage and distribution of you goods are also not a problem to us. To discuss how we can help you with your next project, please contact St Paul’s Press Complete Print on 020 8808 7788. High quality business stationery and forms have been part of our business for 30 years! Whether offering new services to your customers or simply keeping your staff in the loop, newsletters are an ideal way to communicate. However, sourcing content, writing articles, designing pages and managing printing can be incredibly time-consuming. So why not let the experts make it happen for you? As well as designing and producing your newsletters, we can also interview key personnel, write punchy copy, rewrite press releases and source additional material for each issue. All we need are a few suggestions of subject areas and the best people to talk to and we’re away. It really can be that easy! To discuss how we can help bring your newsletter to life, please contact St Paul’s Press Complete Print on 020 8808 7788. If you want to stand out from the crowd – As well as all the standard products St Paul’s Press can help with more specialist items.